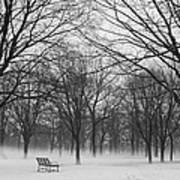 There are no comments for Monarch Park Ground Fog. Click here to post the first comment. 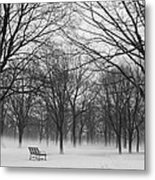 Just a few days after Christmas in 2008, the temperatures soared to +13 degrees celsius, quite warm for December in Toronto. 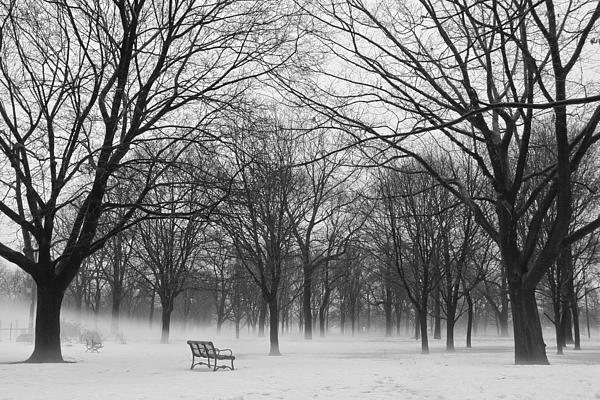 The warm air over the snow covered, frozen ground created a layer of ground fog. I wanted to slow how the fog layer was only a few feet thick and backed off to the north west corner of the park. 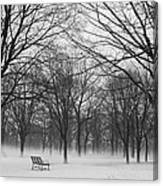 For all the trees and the fog, I think the bench in the foreground adds something special to this photo.